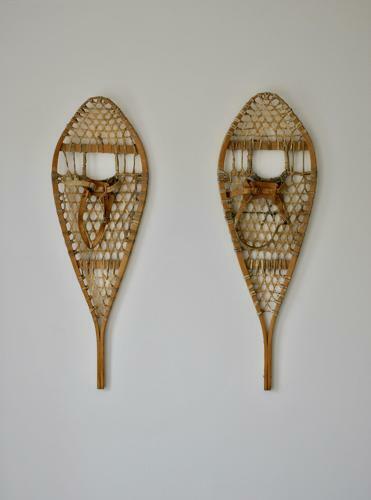 Pair of bentwood, rawhide and leather snow shoes. In good condition. No tears to the leather or breaks in the hide.